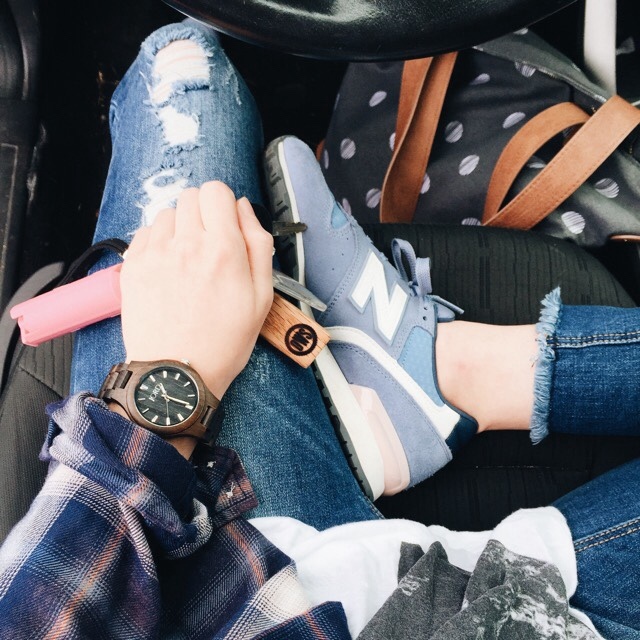 Barefoot In Blue Jeans: The Beauty Of Time with Jord Wooden Watches & Giveaway! 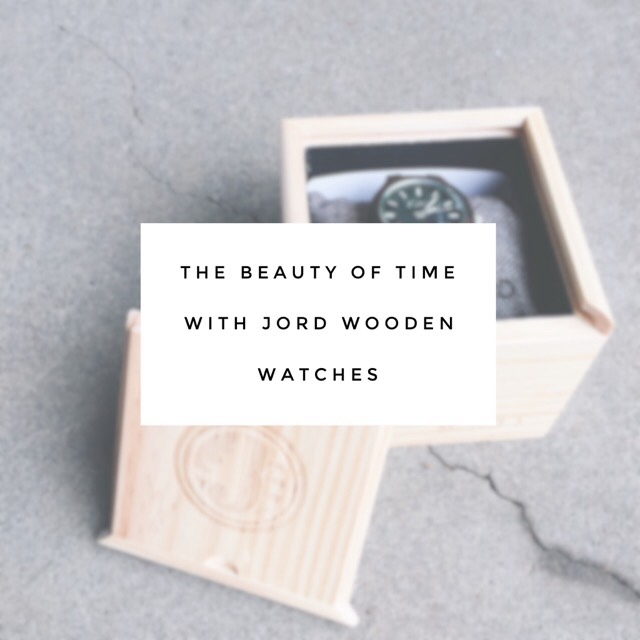 The Beauty Of Time with Jord Wooden Watches & Giveaway! As a busy gal, I needed something to keep track of time. Not just any time piece would do, it had to be unique, and it had to be beautiful. It had to make a statement, and it also had to be easy to wear and work around. Some watches are bulky, and hard to wear when you are working on paperwork, or doing everyday tasks, and I could not have the watch be in the way. I found the most beautiful, the most perfect, the most unique time piece from Jord Wooden Watches. This post is sponsored by Jord Wooden Watches. All photos and opinions are my own. 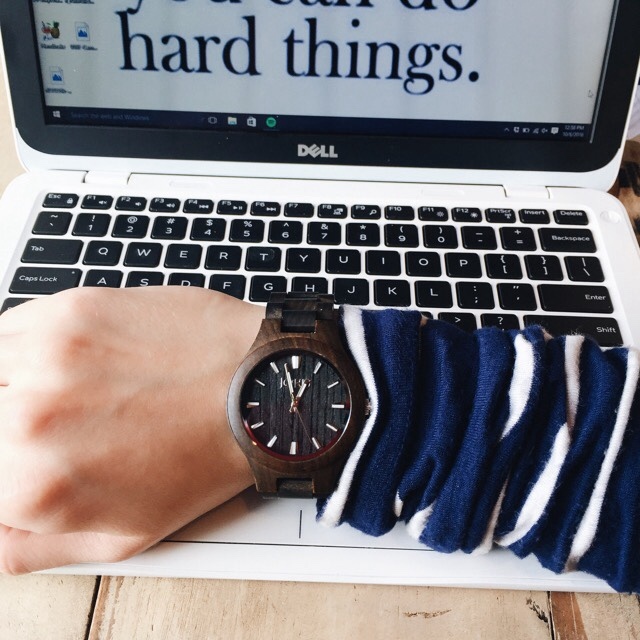 If you are looking to make a statement out of your time piece, turn to Jord Wooden Watches. 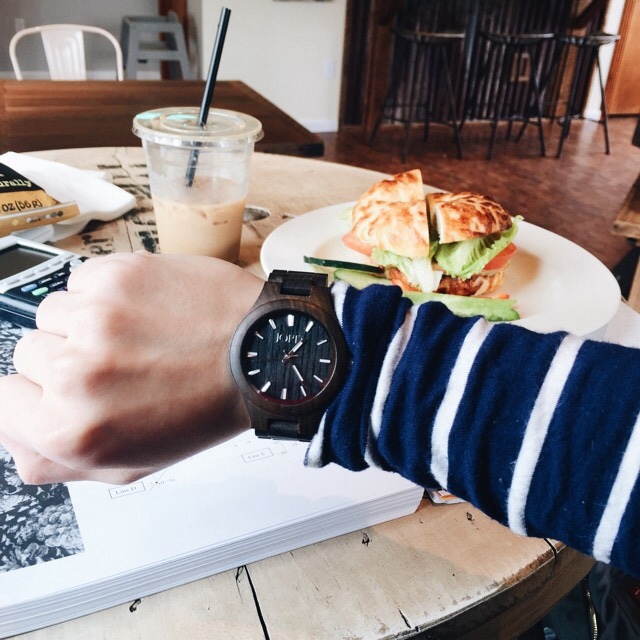 With the many styles, and colors of wood that Jord has to choose from, you are sure to find a watch that suits you. I am a college student, and with being a college student comes a busy life. There is my job, there are my classes, and there is social time. With a busy life, I have to keep track of time. I have to wear my watch on days that I have my health class, it is because the clock in that room is broken! My instructor for that class sometimes talks over the time he is supposed to let us go, so having a beautiful watch on my wrist is perfect for classes. I love wearing my Jord watch. I feel so special, and so stylish wearing it, and I love making a statement. I feel it is the perfect accessory to add to any outfit. 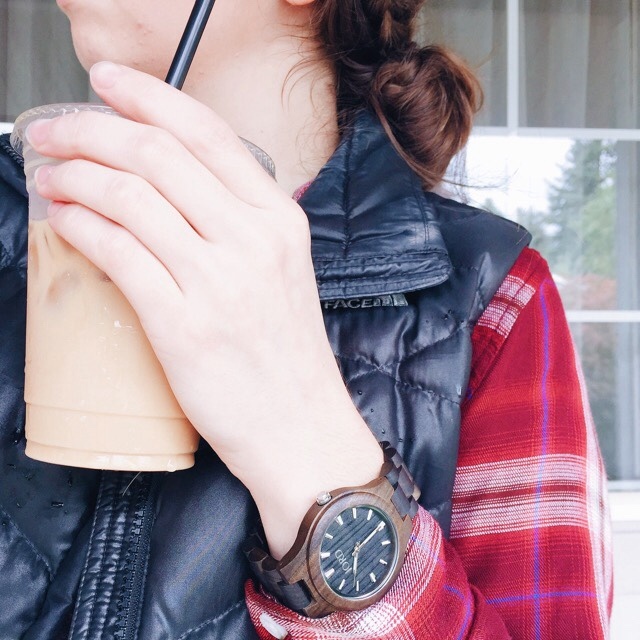 Jord makes watches for both men and women, and there are unisex styles as well. You can take a style, and customize it to fit your personality or your taste. Do you like a dark band, but a lighter watch face? Or a lighter band, and a darker watch face? Whatever it is that you want, Jord has a style for you. I love the Fieldcrest series from Jord. The style is gorgeous, and the band isn't bulky at all! Jord goes the extra mile for customization. Before you purchase your watch, you print off their wrist measuring document and you cut the ruler out. You measure your wrist with the ruler and you give them the measurement for your wrist. They want your watch to fit perfectly, and totally accustomed to YOU. Jord really makes it all about YOU. Jord has a protective oil to put on the watches to keep them water resistant, and to keep the watches nice through everyday life. Even without the oil, it is the perfect watch to wear when you are out and about, and on the go. While those digital watches are neat, and high-tech, I love that this watch is simple. I don't need extra technology in my life. The fancy part about this watch is the wooden band, and wooden watch face. My goodness, the wood is absolutely gorgeous! Once you open up a Jord Wooden Watch from it's gorgeous wooden box, you will fall in love with it. This is the epitome of "love at first sight." When it's on your wrist, you will never want to take it off. You will find yourself admiring your watch, and looking down to look at not just the time, but the watch itself. 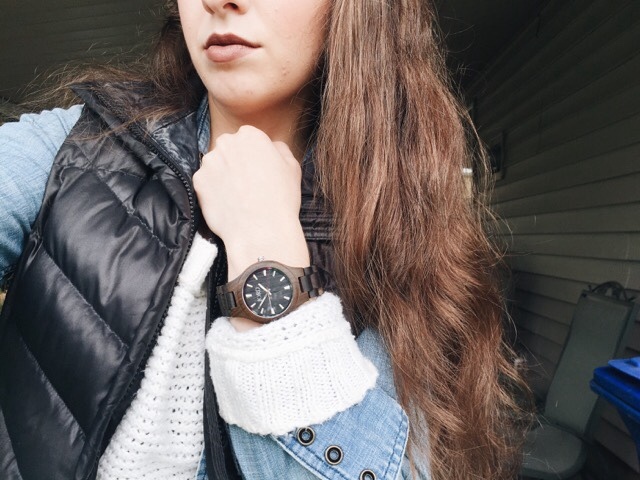 A wooden watch is so unique, and I love every chance I get to wear my Jord Wooden Watch. Guess what? 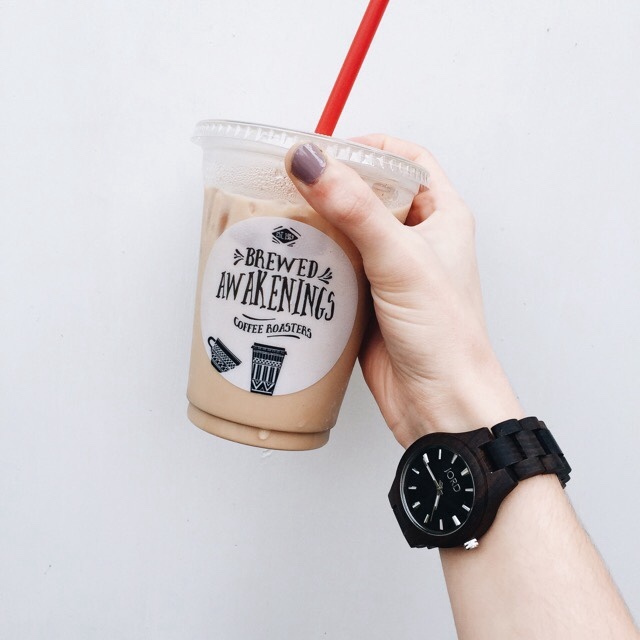 You have the chance to win your own wooden watch! Jord and I have partnered up to bring you a Wooden Watch Giveaway! 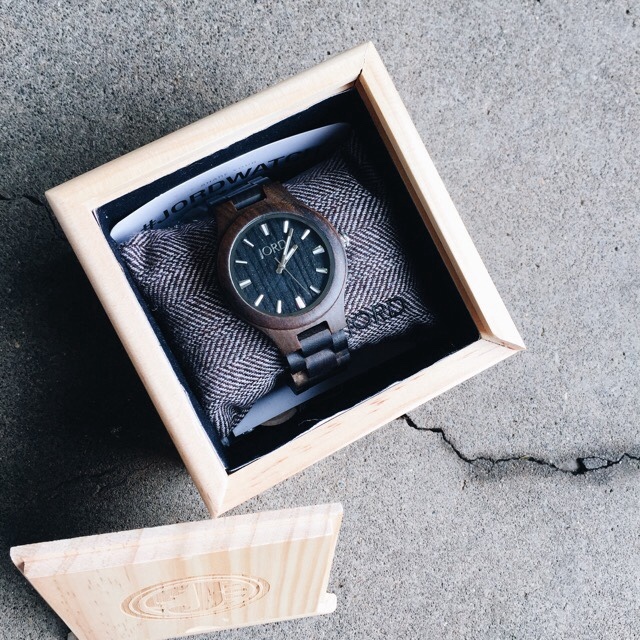 Enter to win a wooden watch here. Shop Men's - Shop Women's - Shop MY Pick! This post was sponsored by Jord Wooden Watches. All photos and opinions are my own. 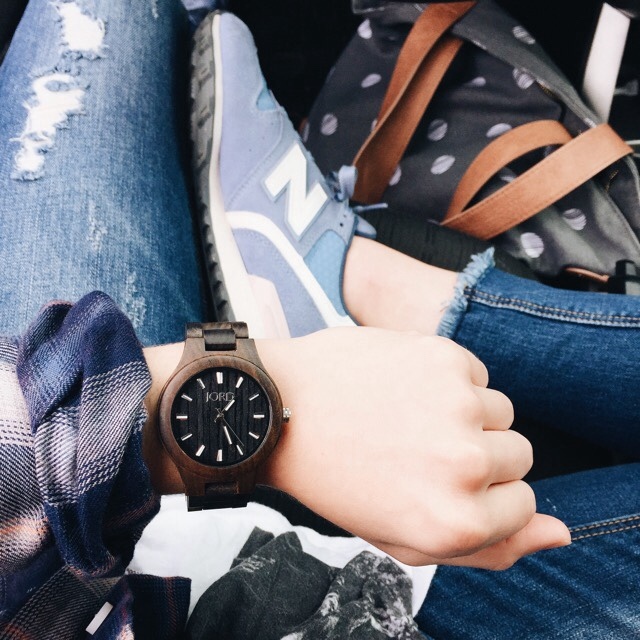 Wooden watches look kind of great and you can wear this with your outfits. Get wrist size for watches from COEN ANDERS for new collection.